New Sleek International Poster for the 23rd James Bond Movie, Sam Mendes' 'SKYFALL'! A new UK poster for Sam Mendes latest installment in the James Bond franchise Skyfall has been released. The action thriller stars Daniel Craig, Javier Bardem, Dame Judi Dench, Naomie Harris, Berenice Marlohe, Ralph Fiennes, Albert Finney, Ben Whishaw, Helen McCrory, Ola Rapace & Tonia Sotiropoulou. In Skyfall, Bond’s loyalty to M is tested as her past comes back to haunt her. As MI6 comes under attack, 007 must track down and destroy the threat, no matter how personal the cost. Skyfall hits theaters this November 9th. 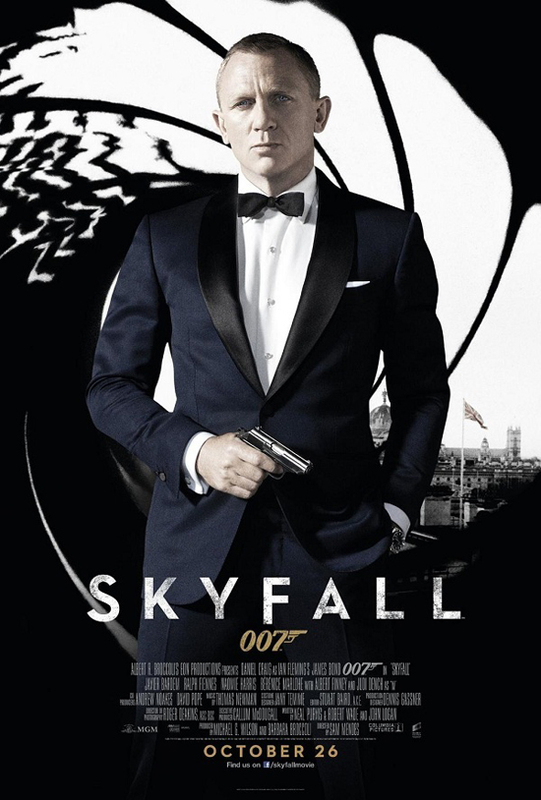 I'm reading: New Sleek International Poster for the 23rd James Bond Movie, Sam Mendes' 'SKYFALL'!Tweet this!